The Internet of Things (IoT) provides devices with the ability to transfer sensor data on the Internet without requiring intervention. The name has evolved from the convergence of wireless technologies and the Internet. Many M2M companies have been providing sensors and means to send data onto the Internet and would claim to have been doing this for many years. Mesh-Net have been involved in IoT for over 15 years, with wireless sensor networks sending data to data concentrators that are connected to the Internet. 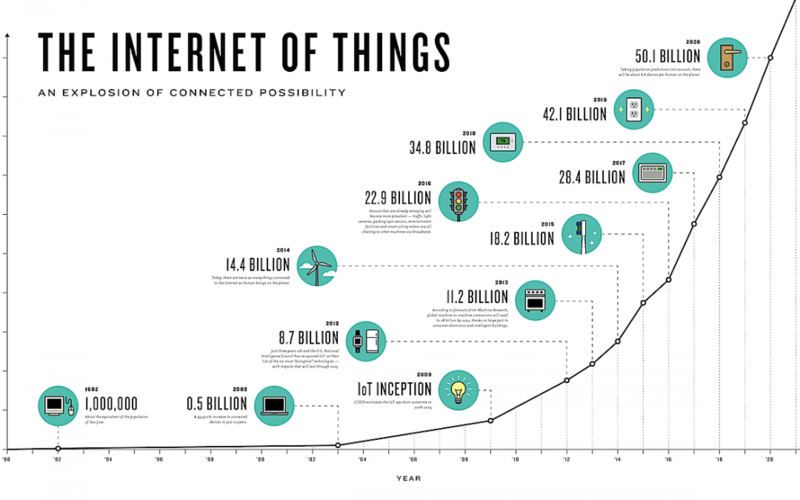 So what could be the definition of IoT in todays world ? IoT is a world where the connected smart assets and sensors that matter to you most can collect and share data and, in so doing, enable new insights that can transform your business and or lifestyle. The sensors are mostly wireless utilising the popular Bluetooth, WiFi, GSM technologies that can provide easy access to the Internet. Until recently, M2M or IoT was complicated and not easily available to consumers. Smartphones, mobile applications and the Cloud have been the main drivers to bring IoT to the consumer. As a result sensors and ‘consumer friendly’ devices are becoming available to connect to Smartphones and Internet Hubs in homes to send useful data to the Internet. · Patient Monitoring: The relevant monitoring devices are IoT enabled and doctors can monitor patient vitals without having to call the patient in. · Retail: IoT devices can provide information on the product the consumer is standing close to so consumers do not have to spend too long to get full information on the product. The IoT devices can also be used to make the sale at that point, reducing the effort required for the consumer to take the product to the cash till to make the payment. So where is this all going to go ? Technology is part of our lifestyle today. It is being embraced by everyone and not just the B2B industry. Therefore your imagination is your limit. Mesh-Net have already developed products and mobile applications but they are only the tip of the iceberg. If you have any ideas and wish to discuss their potential and viability, please do not hesitate to contact us.